Update Jan 26th 2017: Challenge has ended. 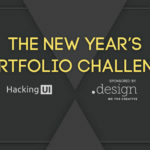 Check out the showcase of selected portfolios. Remind me.. What are the prizes again? How can I win this challenge? You don’t have to go fancy. This is not an awwwards contest. We want you to benefit yourself from this challenge, in your very own available time and capabilities. 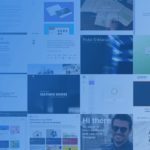 The most important thing is that you update your portfolio according to your current needs. Remember – simple = great! We will publish the winners on the newsletter of Thursday, January 26th, and update them here on Hacking UI.